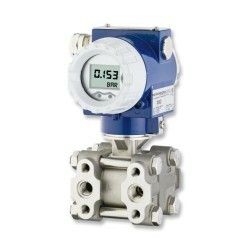 I am looking for a differential pressure transmitter for leak testing. The accuracy needs to be 1 mbar or better, over a range of 0-100 mbar, and the overpressure capability has to be a minimum of 10 bar. The XMD differential pressure transmitter has an accuracy of 0.1% FSO for turn-down ≤ 5:1, and an overpressure on either side of up to 130 bar. So a 400 mbar range can be down-ranged to 0-100 mbar whilst maintaining the 0.1% FSO accuracy. Please complete form below to request a quote for 100mb leak testing dp transmitter with 1mb accuracy & 10bar overpressure rating. Send us your enquiry for 100mb leak testing dp transmitter with 1mb accuracy & 10bar overpressure rating to get assistance with this product type.